Do you suffer from anxiety, stress or other mental conditions? Are they hampering your life and success? Do you want to be more positive, peaceful and happy? The challenges we face in everyday life can sometimes be so overwhelming that we find it difficult to cope and get through the day. Some people end up very ill as a result, with mental health complaints now on the rise faster than at any time in our history. But there is a way to fight back. 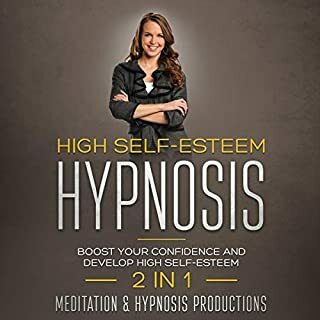 This fantastic audiobook, has been designed to alleviate the problems of the mind through powerful affirmations. 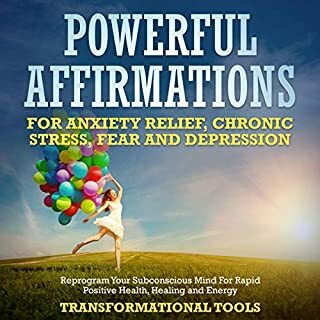 I recommend this book for those who stresses a lot, like numerous other I deal with a lot of stress and this audiobook has some decent and easy practices to help reduce your stress! Do you want to uncover your hidden past lives? Would you like to explore your past and access memories buried deep down in your subconscious mind, still causing you pain and suffering? 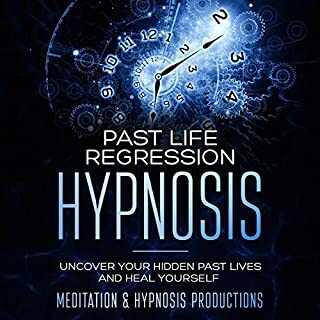 Then you want to try the secret power of past life regression hypnosis. Some people know that they have lived before. Some believe that they have had multiple lives, stretching far back into history. This is quite a motivating and I enjoyed the later end of the book as it talks about self-regression and cypher of past lives. 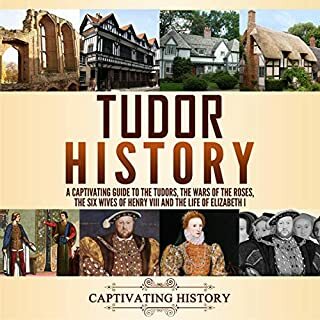 Appreciate this audiobook! Are your fears stopping you from achieving your dreams? Do you suffer from low self-esteem and self-doubt? Wish you had more confidence in yourself? Low self-esteem and poor confidence is something that a lot of people struggle with. We are constantly bombarded with ads and social media photos, which makes us feel bad about ourselves. It can be an unbearable and crushing feeling impacting your everyday life, relationships, and career prospects. The good news is that there is a way you can deal with it. The information delivered by the author in this book in sessions is simple but very good. The style is simple and easy to understand. A good self-esteem book. Are you spending countless hours thinking about past experiences, negative ideas, and feelings? Are you sick of not being able to make a decision? Is your habit to overthink holding you back? Stopping you from achieving your dreams? 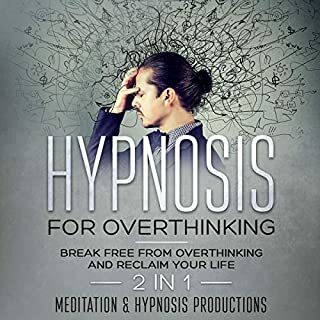 The author seems is very knowledgeable and the book covers lots of practical steps for changing mental habits through hypnosis to overcome overthinking. Tried everything and still not losing weight?Well…it’s not your fault. For years the fitness industry and the big supplement companies have been misleading you....Because burning fat isn't as complicated as they want you to believe. This audiobook is the shortcut. You don't have to: Spend thousands of dollars per year on meaningless fat loss pills and workout supplements. You don't have to: Starve yourself with low-calorie diets to lose stubborn belly, hip, and thigh fat and keep it off. 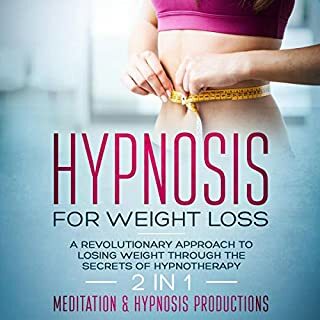 It is indeed helping me to understand and lose my weight through Hypnosis. It is really a revolutionary approach to weight loss Much grateful for conveying your book to everybody. 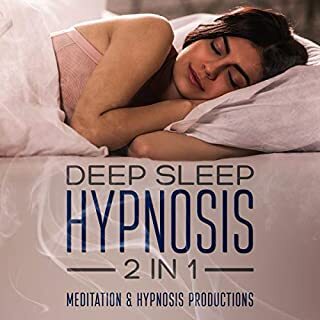 These two hypnosis sessions will help you create the inner conditions needed for a truly restful night. Because when you settle your mind, you rest your body - and that restfulness is what makes it easy to wind down and drift off. Being able to truly wind down at night is a secret very few seem to have mastered, even though most people know that getting enough sleep is one of the fundamental keys to a healthy and happy life. Don't take sleeping pills, once try this book. I’ve never managed to listen to the entire hypnosis session I always fall asleep before it ends. I would say that the second session is the best of the two.